I look back on these posts in the winter with longing. Bonnie just lives the moment, happy in the sun. 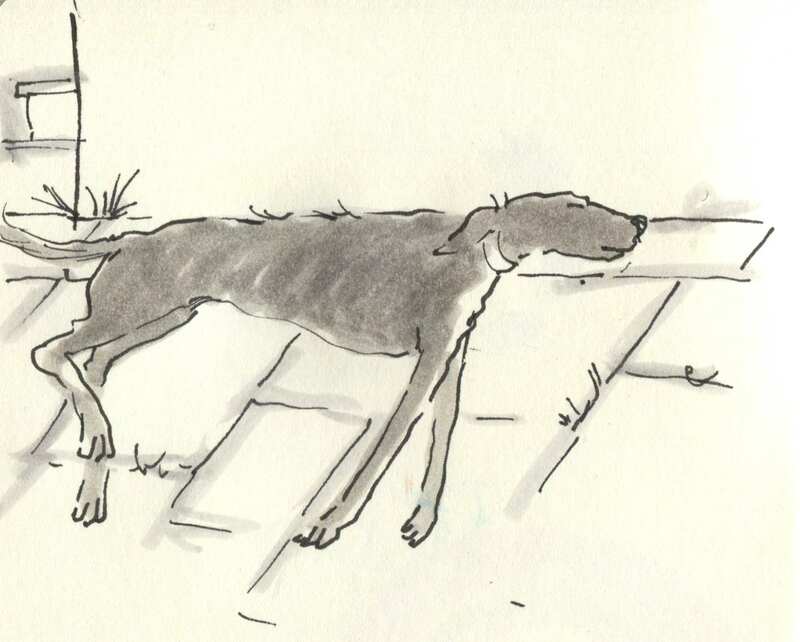 Posted on June 29, 2015, in Uncategorized and tagged Dogs, Doodlemum, Family, Humour, Life, Pen and Ink, Sketchbook. Bookmark the permalink. 4 Comments. I absolutely love how you never take for granted the little things, it’s so wonderful to see every time I open up my Reader! Thank you so much!